An Intelligence Agency of a Country is a very important part of its National security and it works for the Benefits of The Country inside and Outside the Country Secretly. The Main Purpose of All the Intelligence Agency is mostly to protect interest of country and keep eyes on the enemies. Most of the Countries of the World have their own Intelligence Agencies. However Some agencies are extremely popular. Following are Top Six Intelligence Agencies Of The World Who have worked Successful For Their National Interests. ISI is the Intelligence Agency of Pakistan which was formed in 1948 and its Headquarter is in Islamabad. Its current Chief is Zaheerul Islam. It has worked successfully For the National Interest of Pakistan. In 80's ISI Played Major role in breaking the Super Power of that time Soviet Union by supporting guerrilla war in Afghanistan. Mossad is Intelligence Agency of Israel and its Headquarter is in Tel aviv. CIA is Intelligence Agency of United States and it has more Budget as compare to any other Intelligence Agency of the World. Its Chief is John Brennan. 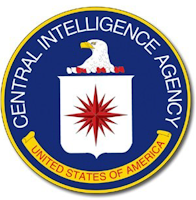 CIA is involved in different activities in many countries of the World like Iran, Pakistan, Afghanistan, Russia, Iraq. M1-6 is Intelligence Agency of England and its Chief is Rt Hon. M1-6 Works together with CIA in many countries which makes it more effective. Its Intelligence Agency of China and its Headquarter is in Beijing. Its Chief is Geng Huichang. The MSS has worked very well for Chinese Interests. MSS is never found involved in wrong activities outside China. FSB is the Intelligence Agency of Russia. Its Preceding agency of KGB which came into Existence after fall of Soviet Union by losing Afghanistan war. FSB is heavily involved in Activities in US.